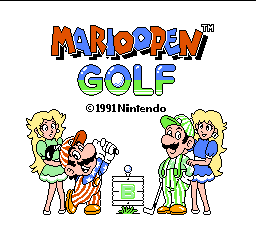 It's a simple golf game where you play as Mario and Luigi in golf!It is very simple.You start by seeing a screen wher some weird gut talks and you get to the game.You pick where you want to put the ball and what club you want.Then you hit the ball!Then,when you get to the green,Peach or Daisy will root for you.Get a hole and you will go onto the next level. You can go in tournaments. 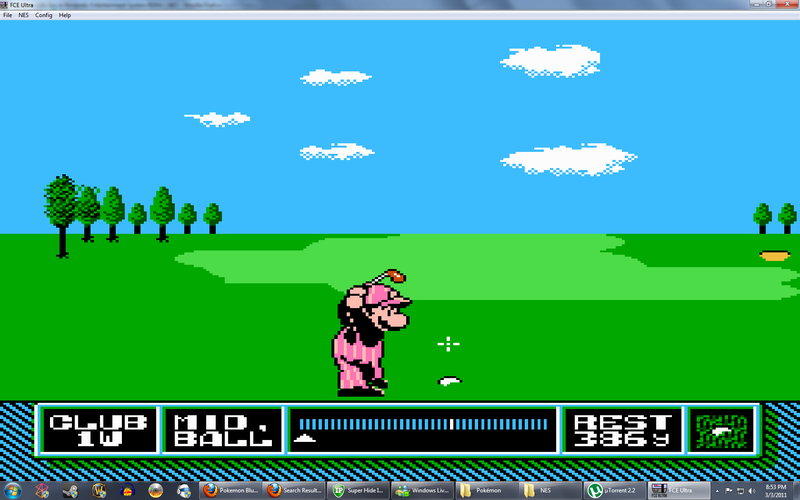 Toad will let you put in your name.There is also a shop where a purple Donkey Kong works.That all! Now you can add videos, screenshots, or other images (cover scans, disc scans, etc.) for Mario Open Golf (Japan) to Emuparadise. Do it now! If you haven't noticed yet, we have a retro game of the day feature (top-right of the screen) wherein we feature a new retro title every single day! Now, you can vote for your favorite games and allow them to have their moment of glory. 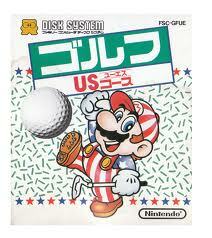 Click on the button below to nominate Mario Open Golf (Japan) for Retro Game of the Day.